This function will draw an area between two threshold. Using areas can help you to highlight specific values. It is possible to tune the rendering by playing with the $Format array. To learn more about this please read the Format array guide. By default, the area will be drawn using the 1st Y Axis (0) as reference. If you chart contains multiple Y Axis, please use the AxisID parameter of the format array. Value1 is the value of the 1st threshold. Value2 is the value of the 2nd threshold. Format is an array containing the drawing parameters of the area. 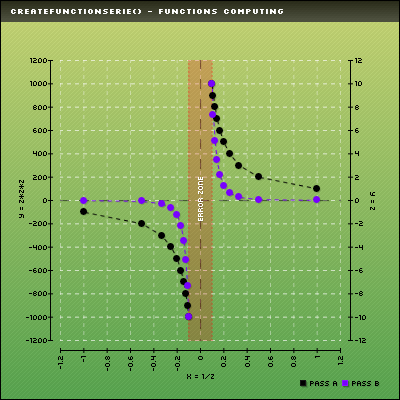 This function returns an array containing the Y position of the up & down boundaries of the area. Customisation array - Tune up your area! You can specify the filled area color using R,G,B. You can specify the filled area alpha factor using Alpha. You can draw the area bordes setting Border to TRUE or FALSE. You can specify the border area alpha factor using BorderAlpha. You can specify the border tick width with BorderTicks.